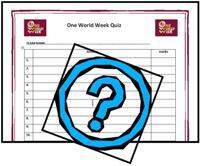 Below you will find an adult’s quiz, a children’s quiz, wordsearches and a childrens question-and-answer wordsearch to use in your One World Week events. 40 questions are split into groups of 10 themes: ‘Environment’, ‘Religion’, ‘International Development’ and ‘Pop Culture/news’. There is also a picture round also based on the theme. You don't have to use all of it; if you use the Word version - you can select sections to print. The pdf versions are less flexible but retain their fomat reliably. 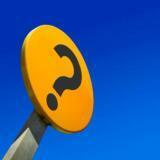 The quiz can be used at almost any event, including coffee mornings, evening meals and pub gatherings. There is a mix of easy and challenging questions, so everyone should be able to join in! You can download files which contains the Quiz Masters question and answer sheet, blank answer sheets for the teams, the picture round, and question sheets without the answers for those who require it. Our children’s quiz follows the same style and format as the adults quiz, but is shorter. Suitable for children aged 11 upwards. in youth clubs, guides and scouts. It is also appropriate for schools as many questions relate directly to required learning outcomes of various secondary school curriculums, including Citizenship, RE, geography and PSHE. Theme related wordsearches are fun for all ages. 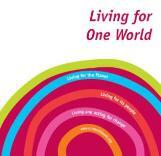 This one contains words to describe "The world we want". Appropriate for the 2014 theme. Good for families and mixed age groups - younger children might want some help with the longer words). This wordsearch is designed to be fun and engaging, whilst also encouraging children to think about the world around them. This file contains the children's version of the word search, and an answers version for teachers, youth leaders and other facilitators.